The tropical carambola / starfruit grows on trees of up to ten metres high, native of South-east Asia. Today the carambola / starfruit is cultivated almost everywhere in the tropics. As no parasites or diseases are known to infest the tree, there is no need for pesticides. The yellow-green starfruit is about ten centimetres long with five longitudinal grooves which cause the characteristic star shape when sliced. The tropical starfruit / carambola grows on trees of up to ten metres high, native of South-east Asia. Today the starfruit / carambola is cultivated almost everywhere in the tropics. As no parasites or diseases are known to infest the tree, there is no need for pesticides. 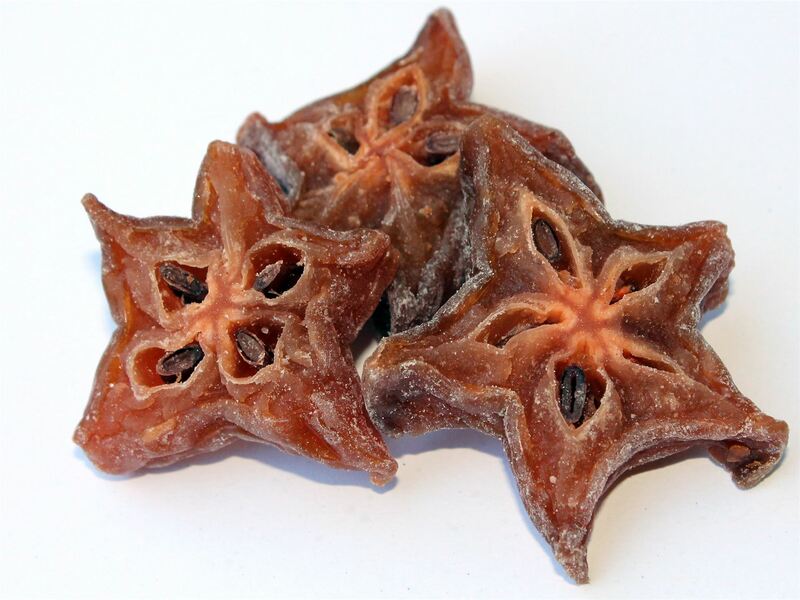 The yellow-green starfruit is about ten centimetres long with five longitudinal grooves which cause the characteristic star shape when sliced.